1.2. I am getting duplicates! What should I do to prevent it? 1.3. How to change default message format? 1.4. Image Errors: “Could not get image”, “Server can’t access it’s own images”, “Error uploading photo” etc..
1.5. Wrong or missing image. 1.12. Nothing is posted and nothing in the log. 1.14. Scheduled Posts are getting published immediately. 1.16. 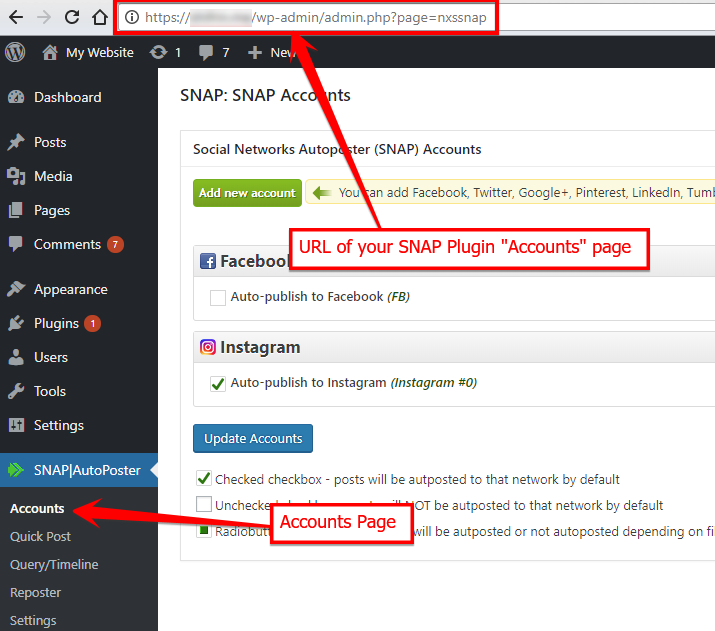 What is “URL of your SNAP Plugin “Accounts” page” and how to find it? 2.1. I can’t create facebook app. It redirects me back to my account. 2.3. Only I can see the posts, nobody else can. 2.9. Token Issues like “Error validating access token”, “Session has expired”, “Expired access token”, “Not Authorized”. 2.12. Error:(#100) The status you are trying to publish is a duplicate of, or too similar to, one that we recently posted to Twitter. 2.14. What is “Let Facebook fill the link info”? 2.17. I have a video in my post, but when I post to Facebook it’s posted as image preview and it’s not playable. 2.18. How can I change the color of my text? 2.19. Where can I post on Facebook? Should I be an admin of the page/group? 2.20. Can I post to Closed/Secret Groups if I only a member (not an admin)? 2.21. What name will be used on Facebook? 2.22. I got a notice about Facebook Graph API App upgrade. What should I do? 3.4. Error (NXS): Lost Login info. 6.2. Pinterest Error: This pin contains a link or text that we do not allow. We have blocked this pin for your safety. 7.1. I click “retrieve your subreddits” link I am not getting any subreddit ids returned. 9.1. Why am I getting duplicate images on Tumblr posts? 10.5. Why there is no character counter for Twitter? Please add it, it should be easy. When I follow the instructions to allow your plugin authorize/access to my Facebook/Twitter/Tumblr/LinkedIn/ScoopIt/etc.. account, it redirects me to the “Blank” page, “You do not have sufficient permissions to access this page” message, “Google Analytics for WordPress Configuration” page, “woocommerce page setup”, or some other plugin” page. It’s a known issue that we can’t fix. “Google Analytics” and some other plugins hijack the authorization workflow. Please temporary deactivate “Google Analytics” and/or all other plugins (“Blog Promoter”, “WooCommerce Piwik”, “Tweet Old Post”, “Simple Facebook Connect”, “Evergreen Post Tweeter”, “Simple Twitter Connect” etc.. ) related to “Social Networking”, do all authorizations and then activate them back. Even some versions of Woocommerce could cause this. I am getting duplicates! What should I do to prevent it? First of all check if your networks (especially Facebook) are not auto-posting to each other. For example you can link your Facebook to your Twitter account, so all Facebook posts automatically go to Twitter. if you do not remove this, you will get one post on Twitter from SNAP and another one from Facebook. I changed the default message format to “%TITLE% – was published on %SITENAME% – %URL%”. It still publishes my posts as “New post (%TITLE) has been published on %SITENAME” Can you please tell why is that? Format settings are saved individually with each post. Any changes you make in the general settings page will affect only future postings. if you have drafts and/or scheduled posts they will be posted with old settings unless you change them manually for each post. If you changed the format for already published post, please don’t forget to save the post before clicking “Repost” button. UPD: Version 3 has a special button that you can use to reset all existing settings to the current default values. This error means that at the time of autoposting your image wasn’t set or wasn’t available. Please check that first. Image must be set at the time you hit the “Publish” button. Some third party plugins that make posts sometimes publish post without featured image and then add it later. If this is your case, you can try to delay the autoposting for several minutes. If image is set, you can have some kind of protection on your images, (like “hotlinking” protection or unusual “User-Agent” header protection), you can have wrong URLs defined (like relative URLs like /img/mypicture0005.jpg instead of full URLS like https://www.nextscripts.com/img/mypicture0005.jpg), also it could be your server’s DNS misconfiguration, which means your server can’t resolve itself and get the image. Please contact your hosting provider or server admin for additional info. Update (Summer 2014): Tumblr recently changed the headers for it’s image retrieval bot. New tumblr requests are coming with empty “User-Agent” header. A lot of servers deny empty “User-Agent” requests causing “400 – Bad Request –  => Error uploading photo” problem. Please contact your hosting provider to allow such requests. Update 2 (Sept 2014). Twitter is now making empty “User-Agent” requests too. Posts made by the plugin don´t show the image from the post. They show no image, website logo or some random picture. I am getting this error "error:0D0890A1:asn1 encoding routines:ASN1_verify:unknown message digest algorithm"
The remote connection software you are using on your server might be compiled with a very old version of OpenSSL that does not take certificates signed with sha256-With-RSA-Encryption into account. It requires at least OpenSSL 0.9.8o for a total management of SHA256. Please contact your server admin or hosting provider about this issue. * SSL certificate problem, verify that the CA cert is OK. Details:error:14090086:SSL routines:SSL3_GET_SERVER_CERTIFICATE:certificate verify failed. This error means that cURL is misconfigured on your server. Most probably curl ssl(or openSSL lib) is broken or it simply can’t find the certificates at the pointed location.Please contact your hosting provider and ask them to turn on or FIX “client side SSL” for your site. Please note (this is important): This is NOT about expensive and complicated “Server side SSL certificates”. When your site makes a post it acts like a client, not as a server. This is about free client side SSL. Client side SSL are the same SSL certificates that included in any webbrowser and used to access SSL protected websites via https protocol. Unlike Twitter or Google+ that could be automatically switched to non-SSL connections in such cases, Facebook and some other networks require to be accessed by SSL at all times. Recently discovered the shellshock vulnerability in bash required an update that has temporarily broken SSL for many servers running PHP around the web. Fix for bash problem done by your server admin could cause “Problem with the SSL CA cert (path? access rights? )” error. To resolve the issue, you’ll need to restart Apache (or nginx). If that doesn’t fix the problem, you’ll need to restart your entire server. You need to contact your hosting provider. This error means something on your server prevents your site from connecting to social network’s API. It could mean that DNS is broken on your server or your server disallows outgoing connections. Either way this is something your hosting provider needs to look at. ** If you are getting Permission denied error, it usually means your hosting provider is blocking access to social network or social network is blocking access from your hosting provider. *** If you are getting Failed to connect to 2a03:2880:2110:9f01:face:b00c:0:4: Network is unreachable – 2a03:2880:2110:9f01:face:b00c:0:4 is IPV6 address. IPv6 is a new Internet Protocol standard. This error means that IPv6 is activated, but it is not correctly configured on your server. You need to contact your hosting provider about that. The solution was adding the following filter to my themes’ functions.php file, allowing the user to change the timeout to whatever they need to, in order to accommodate SNAP. Let us explain how it works. Plugin does not connect to Facebook by itself. It asks WordPress to do it by calling standard WordPress function wp_remote_get(). WordPress also does not connect to Facebook by itself when asked. It asks PHP to do it by calling standard php curl_exec() function. PHP also does not connect to Facebook by itself when asked. It asks the system binary library that installed on the server and called “cURL” to do it. That library connects to Facebook. That library generates “Failed to connect to .. (or any other from the list above)” error and passes it to PHP that passes it to WordPress that passes it to the plugin. Only your hosting provider could answer why that system binary library generates that error and do something about that. * [ERROR] Your message couldn't be sent because it includes content that other people on Facebook have reported as abusive. * [ERROR] This message contains content that has been blocked by our security systems. * [ERROR] The content you’re trying to share includes a suspicious URL. Please remove this link to continue. * [ERROR] A Link in Your Post Might Be Unsafe. * [ERROR] Sorry! We blocked this link because it may lead to spam. Basically this means that network does not like your posts. In some cases network rejects the content of your posts or links from your posts. Many networks do not allow some or all URL shorteners. In some cases network does not like how often you make your posts. Please do not post too much or too often. Please follow the terms and guidelines for each network. Some networks don’t like shortened URLs. Please make sure you are not using URL shortener. I click "Repost" button, message says "Posted", but nothing on my account and nothing in the log. PHP Notices and PHP Warnings are harmless. They are not errors, they are just a messages to developers informing them about some things that might require attention. Since Notices and Warnings are not errors, they do not require immediate fixes or solutions. Only developers should see them. If you are are seeing notices and warnings, it means that your server is in DEBUG mode. You don’t need DEBUG mode if you are not a developer, so please take your site out of it. There are many ways to activate DEBUG mode, so please turn it off the same way you turned it “on” or consult your server admin if you don’t know how to do it. PS: Yes of course we are paying attention to all Notices and Warnings and making all necessary fixes or changes. We just mean that notice or warnings does not require an immediate fix. Please put your site in regular non-DEBUG mode, so you won’t see them. Scheduled Posts are getting published immediately. Are you sure you are using WordPress built in “Schedule” functionality and not some third party plugin or service to schedule your posts? Some plugins like “Publish to Schedule” are not compatible with SNAP. 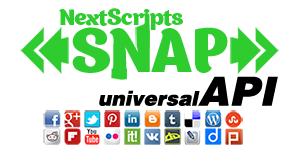 Our plugin posts to all configured social networks at the time post goes live. Technically speaking our plugin is hooked to the event of changing post status from whatever to “Published”. This event is triggered when you hit “Publish” button, when you post on your site from email, when you publish post from your iOS/Android Device, when external plugin correctly published new post, and when scheduled post becomes live. Some third party plugins (like “Publish to Schedule”) change the status of the post to “Published” right when you create it and then just keep it hidden until it’t time to present it. SNAP reacts on the change of the status and autoposts it. Some other third party plugin make post “Published” for several seconds for some internal reasons and then revert it back to “Scheduled”. Again SNAP reacts on the change of the status and autoposts it. Please use built in “Schedule” functionality from WordPress or any third party plugin or service that changes post status correctly. Some networks (Instagram, VK, etc..) require the actual image file to be uploaded. If plugin can’t read the local file it must grab it and save it in the temporary folder before uploading. Plugin asks the server system to get it the writable temporary file by calling standard PHP function “tmpfile()” (https://php.net/manual/en/function.tmpfile.php). This function suppose to make writable file in your system defined temporary folder. If tmpfile returns wrong temporary folder or file is not writable, it means your server or PHP itself is misconfigured and your hosting company must fix that. Please contact your server admin or hosting provider and ask them why standard PHP function “tmpfile()” is not working on your server. I can’t create an app on developers.facebook.com/apps. When I am trying to enter that page it redirects me back to my account? What should I do? Facebook “Business” or “Advertising” accounts can’t manage apps. This is an unavoidable Facebook limitation. Only real user accounts are able to create and manage apps. 1. You can add your personal Facebook account as “Administrator” to your page. Don’t worry, all posts will be made as your “Business” name, not from your personal account. Association of your personal account with that business page won’t be seen by anyone other then you. 2. Logout from Facebook as personal account, login as your Facebook business account, then to to the plugin Facebook settings and authorize the app as business account. The reason for “An unknown error has occurred” error is broken/corrupted image. Please check that your image is ok, has absolute path, and please make sure that your server doesn’t have some king of protection against direct downloads of your images (hotlinking protection).You can check your images using Facebook Debugger Tool – https://developers.facebook.com/tools/debugThen just enter the URL of your image to the field, click “Debug” and see the error. Twitter throws “Error creating status” for the exact same reason. UPD: Sometimes Facebook throws this error when it’s servers overloaded or their image cache is corrupted. The thing to do in that case is to wait couple days till they fix it on their side. Another question for the same answer: Why the "Boost Post" button is disabled? Several things could be responsible for this. It could be your default privacy settings, your app could be “Sandboxed”, your posts could have low priority, etc..
Facebook->Developers->Apps->Your App Settings->Click “Status & Review” on the left. Change “Do you want to make this app and all its live features available to the general public?” switch from “No” to “Yes”. Then check “Advanced”. Some different settings here also could filter out your posts. If none of that helps you can try to create a new Facebook app with all default settings and use it. If you are seeing the post and it’s public, but still getting 0 views, most probably you are making an “Attached” post, but expecting the results as from “Shared” post. “Attached” posts are not included in the statistics. Please see the difference between Facebook post types. This message means your plugin either not authorized or lost the authorization. Please click “Authorize” or “Re-Authorize” link and follow the authorization wizard. Important: When Facebook Authorization Wizard asks you for the access privileges to your profile/pages, do not uncheck anything or click “Skip”. Facebook don’t have the ability to request permission to just one page. It’s either all of them or none. If you click “Skip” it means you forbid Facebook from posting to any of your pages, groups or profiles. Our plugin will post only to the page that you specify on the “Your Facebook URL” field. 5. Enter your domain to the App Domain. Domain should be the same domain from URL that you have entered to the “Website” during the step 4. Your Facebook app is misconfigured. * Can't Load URL: The domain of this URL isn't included in the app's domains. To be able to load this URL, add all domains and subdomains of your app to the App Domains field in your app settings. * Invalid redirect_uri: Given URL is not allowed by the Application configuration. 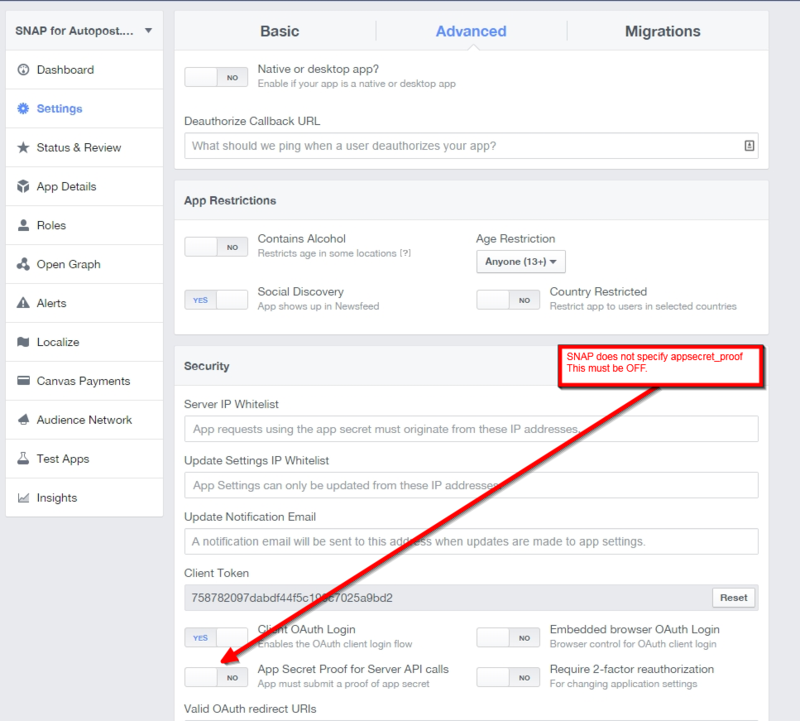 This error means that URL and Domain in your Faecbook App don’t match your actual URL. 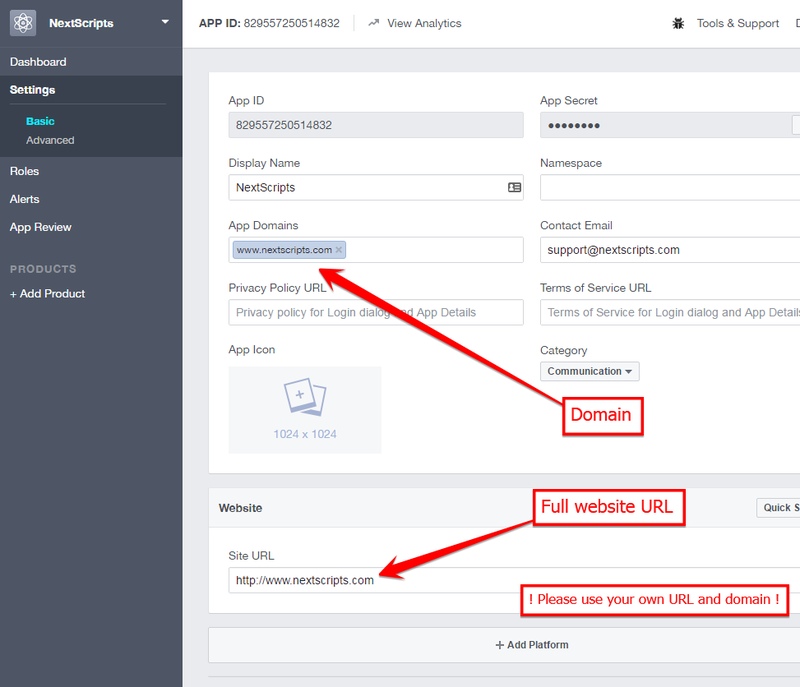 It is very important that URL and domain in your Facebook App match your WP-Admin URL and domain. You must enter the URL and domain that you see in your WordPress Admin Panel. For example even if your visitors come to your blog at https://blog.nextscripts.com, but you manage your blog from https://www.nextscripts.com/blog/wp-admin/ – you must enter https://www.nextscripts.com/blog to the URL Field and www.nextscripts.com as the domain. Also please note that Facebook distinguish www. and non-www versions, so from Facebooks point of view nextscripts.com and www.nextscripts.com are two different domains. You must have the correct domain and URL in 3(three) places in your Facebook app. When plugin auto-publishes to Facebook as an “attached link” or “shared link” post type it doesn’t include descriptions to attached post. Description shown as blank or some kind of script code or even some random info from another page. * The ‘xxxxx_xxxxxx’ permission must be granted before xxxxxx xxxxxx. * Error validating access token: The session has been invalidated because the user has changed the password. * Error validating access token: Session does not match current stored session. * The token used in the OAuth request is not valid. Facebook issues its tokens for 30 days. Each autopost renews the token. This message means that you either haven’t posted to Facebook for 30 days or Facebook has your token invalidated for some internal reasons. When you changed the Facebook password session has become invalidated as well. 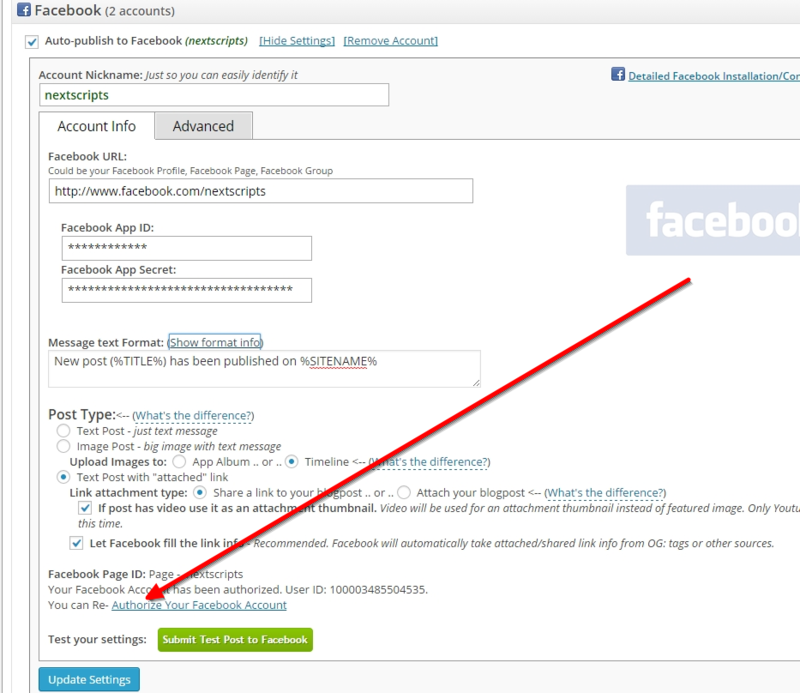 The solution is the same, please to to the plugin Facebook settings and click “Re-Authorize this Facebook Account” link. Other networks also have some expiration rules for tokens. Solution is the same – click “Re-Authorize this XXXXXXX Account” link. UPDATE: (Sept, 2013) It looks like for some users Facebook has removed “Always comment and post on your page as [Page Name], even when using Facebook as [Your name].” checkbox from the settings and left users hanging at some uncertainty. We are currently investigating this issue and trying to find out the way to specify what account should be used for posting. UPDATE: (Dec, 2013) The person who authorizes the plugin must be an admin of the page at the authorization time. Post will appear as page name in this case. If this doesn’t work, try to re-authorize or create a new Facebook app. When I publish a new post to Facebook I am getting this weird Twitter Error: Error:(#100) The status you are trying to publish is a duplicate of, or too similar to, one that we recently posted to Twitter. Your Facebook is already auto-posting to Twitter. When it sees the same tweet made by our plugin it fails with this error. 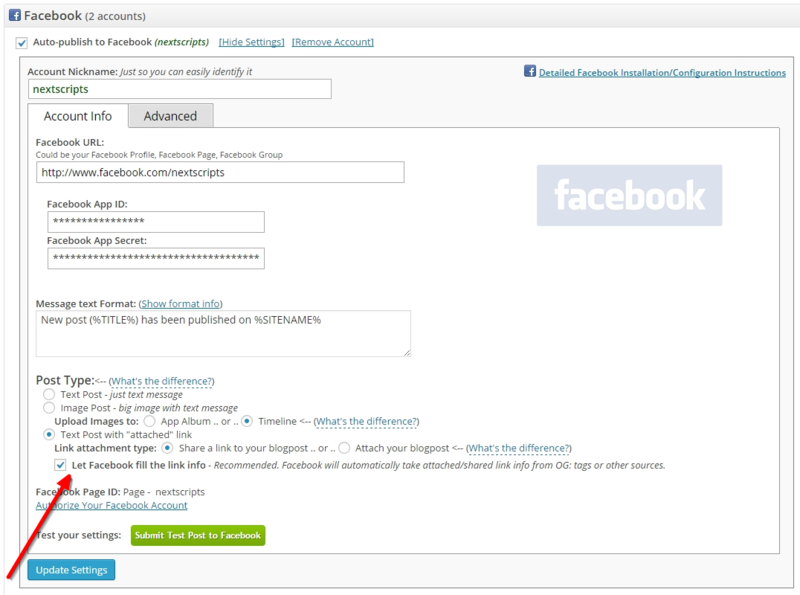 You need to either unlink your Facebook from Twitter or disable Twitter auto-posting from our plugin. Go to https://www.facebook.com/twitter and remove the link to twitter from the affected wall (Click on “Unlink from Twitter”). * [ERROR] (#1500) The url you supplied is invalid. * [ERROR] An unexpected error has occurred. Please retry your request later. * [ERROR] This link could not be posted. My URL is valid. Do you have any idea what this problem is about? Quick summary: When you submit new link to Facebook, Facebook takes a look at this link and indexes it. When Facebook servers are overloaded they can’t index it during the request time. Facebook throws one of the errors mentioned above. Facebook still indexes the link, so the second try couple minutes later usually goes without any problems. #1500 Error was very common during summer 2013, then it become better. Recently (Jan-Feb 2014) the same problem resurfaced as “An unexpected error has occurred” or “This link could not be posted” error. Yes we do have a pretty good idea what this problem is about, but we can’t do anything with this. This problem is on Facebook side and they need to fix it. The problem is that Facebook servers are overloaded and if your site is not fast enough for them to get all necessary info in time, so they just trow it with #1500 error. They need to upgrade their infrastructure and increase the timeout. Until that you can only try to set the correct OG: tags, speed up your site somehow or find a faster hosting. Update Jan/Feb 2014: – It looks like “Attached” posts are more likely to be affected by this then “Shared”, so try to switch the format. What is this new option “Let Facebook fill the link info”? Why Facebook is showing the wrong image if it’s checked? Staring from SNAP version 3 Facebook settings have a new option “Let Facebook fill the link info”. If this option is selected it’s basically means that plugin just does NOTHING. It just tells the the Facebook – “Here is the URL to share – do whatever you like with it”. There is noting else. Nothing could be broken, nothing for us to fix. Whatever happens on Facebook pages and how it’s shown there is totally up to Facebook. SNAP plugin just not involved at all. Facebook will decide what image, title and description to take by itself and ignore all plugin settings. Facebook takes this info from og: metatags, so if you like to define what info will be shown make sure that those metatags are configured on your site. I am getting [Error] => (#200) The user hasn’t authorized the application to perform this action Another message of the same problem: Can’t get Page Token. NO TOKEN RETURNED. Facebook introduced API 2.0 on April 30, 2014 and forced all users to move to it. it brought some changes to the requirements for app and page ownership. This means that the Facebook app, Facebook profile or page and the user who authorizes the app MUST belong to the same Facebook account. This Facebook account MUST be an admin for the page or member of the group where you are going to autopost. * Reported Error: Unsupported get request. * No errors, but posts go to the page with the same name, not to the group. 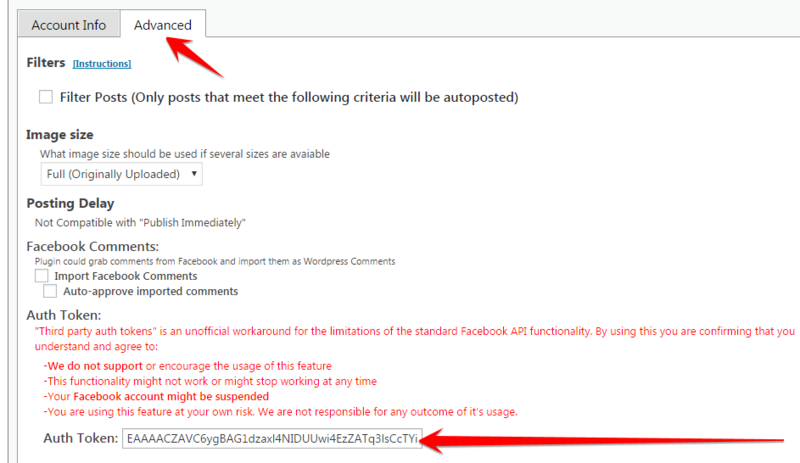 It’s a known bug in Facebook API that breaks posting to groups using non-numeric names. There is a simple workaround for it. You will need to Re-Authorize your account after you update the URL. I have a video in my post, but when I post to Facebook it’s posted as image preview and it’s not playable. Facebook used to allow to attach playable videos to your posts. Facebook recently removed that ability. You can’t publish playable video along with the link to your site anymore. You can only post video with the link to youtube page and it will be payable. PS: Facebook made the change silently without any explanation or alternatives. We have no idea why or when (if?) that will be back. How can post text followed by an image followed by more text? How can post bigger title? Can I make some of my text bold? Any kind of text manipulation not possible on Facebook. * Facebook does not allow titled links. (i.e you can’t make words “SNAP is Here” clickable). You can only post bare links that will become clickable. Where can I post on Facebook? Should I be an admin of the page/group? 1. 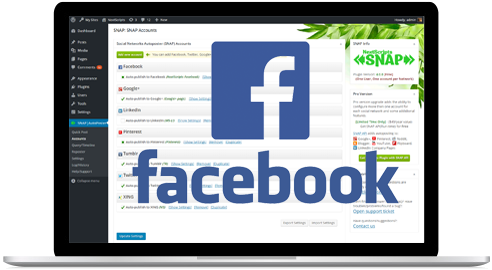 With Free Native Facebook API SNAP can post to Facebook Pages and/or Facebook Groups. You must obtain explicit approvals from Facebook for posting to Pages and Groups. 2. 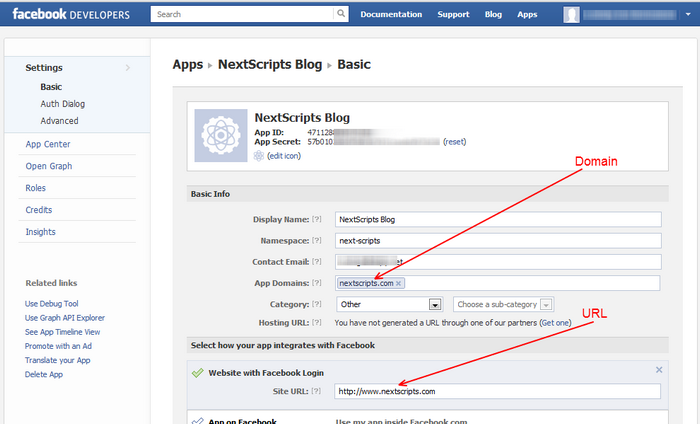 With NextScripts Premium API SNAP can post to Facebook Profiles, Facebook Pages and Facebook Groups. You must be an owner of profile to post there. You must be an admin of the page to post there as “Page Name”. If you are not an admin posts will go to the “Community” section. You must be at least a member of the public, closed or secret group group to post there. All group rules will apply. If group itself or your account is required pre-moderation, autoposts will be sent to moderation query. Can I post to Closed/Secret Groups if I only a member (not an admin)? 2. Facebook Pages (all kinds) (User who authorized the plugin must be an admin of the page). 3. Public Groups (User who authorized the plugin must be at least a member of the public group). 4. Closed groups (User who authorized the plugin must be an admin of the closed group). 5. Secret groups (User who authorized the plugin must be an admin of the secret group). How to get a token and configure it. 3. You will get the standard Facebook authorization dialog, answer “yes” to everything. You end up on the blank page. 5. Add new “Facebook” account to SNAP, enter anything to key and secret, click “Add Account”, open it’s settings, copy-paste that token to Advanced tab -> Auth token. 6. Enter numeric groups ID to the “Where to post” field. Will it use page name or my name when posting to the page? It posts to the group as me, how to change that? This is not something we can change. Those are Facebook rules, terms, and conditions. The plugin will use the name of the user who authorized the Facebook app. 1. Post to user profile will be posted as the user’s name. 2. Post to all kinds of pages (business, fan, etc..) will be posted as page’s name. 2. Post to groups will be posted as the user’s name. (!) There is no such thing on Facebook as post as “Group’s name”. No one can post like this. New Developer Alert for "MyAppName"
You don’t need to worry about that. Facebook has a “2 Years app retention policy”. After that your app will be automatically upgraded to the next version. SNAP plugin has a full support for all versions of Graph API Apps from 2.0 to the latest 2.10. It adapts to the available Facebook API App version automatically. You logged out from Facebook in your browser. Please follow our instructions and get a correct, active and working session ID. Please do not logout from Facebook after that. - I’ve setup my Google+ page etc, but when I hit the test button I get this message “Incorrect Username/Password”, “You are not authorized to publish to this page”, “Cannot use string offset as an array” or it just stuck on “Sending update to Google+”. I am 100% sure I have correct Username and Password and I can post to that page. - I am getting "suspicious activity" emails from Google showing logins from some weird location! Why is that? - Your Google+ account is locked for the new applications to connect. In order to post to Google+ Plugin need to logon to your Google account from your server. If your server is located far from your usual login place (home area), Google may try to protect you and block that login asking you for confirmation. 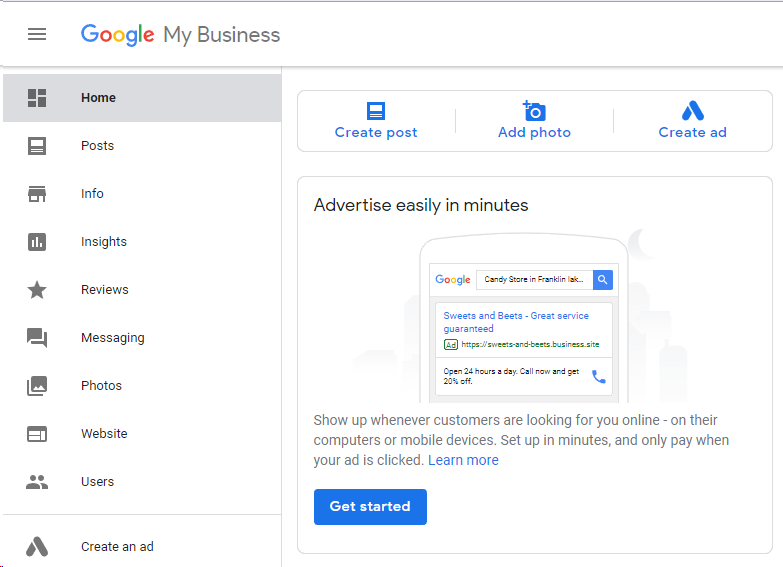 You may receive “suspicious activity” email and ” Your Google+ account is locked for the new applications to connect” messages. 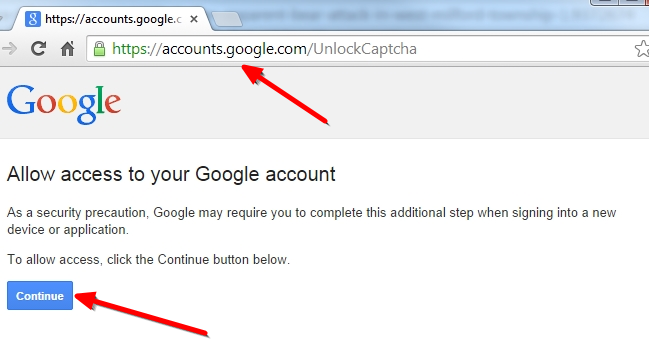 You need to tell Google that you allow your server to login on your behalf. 1. Setup your Google+ account in the plugin or API. – Go to https://accounts.google.com from your browser and login to your Google+ account that you will be using with SNAP. – Click “Continue” – you will see “Account access enabled” message. 2. Go to your WP Admin Panel->Settings->Social Networks AutoPoster->Google+ Settings. 3. Click “Submit Test Post to Google+” button. Update: One more thing. This is applicable ONLY to the Blogger in the “Free” Plugin version. Again. Only free blogger API in the free plugin is “less secure”. You don’t need this for Goolge+, Youtube or Blogger “Pro”. Script is not publishing the related thumbnail with each post it sends to Google+. Google+ doesn't get the correct title and description. Where can I define them? for example: <meta property=”og:image” content=”https://url.of.your.image.jpg” />SNAP for WordPress plugin has built-in support for OG: meta tags: Plugin Settings->Other settings->”Open Graph” Tags-> Add Open Graph Tags It’s very basic, but it should work. There are several plugins specifically for OG: tags and almost all top WordPress SEO plugins have ability to add them. Google set a limit of images you can upload to Google+. You reached that limit. Please delete some images from default album or move them to another album. Error (NXS): Lost Login info. 1. Please login to your account manually and make sure your Google+ service is not interrupted by some “Updated Privacy Statement” that you need to agree with before you can post. 2. please make sure you don’t have “2 Step Authentication” enabled. We detected some suspicious activity. We need you to reset your password. 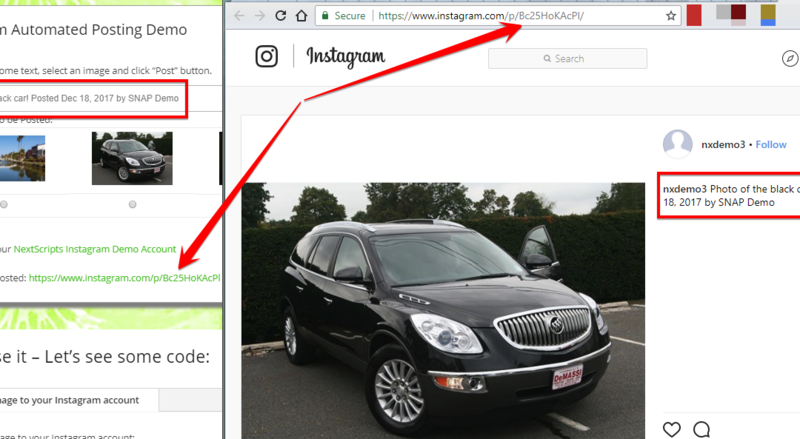 In order to post to Instagram plugin need to logon to your Instagram account from your server. If your server is located far from your usual login place (home area), Instagram may try to protect you and block that login asking you for confirmation. You may receive “suspicious activity” email or message and you might be asked to confirm new login by solving captcha or clicking “Confirm” button. 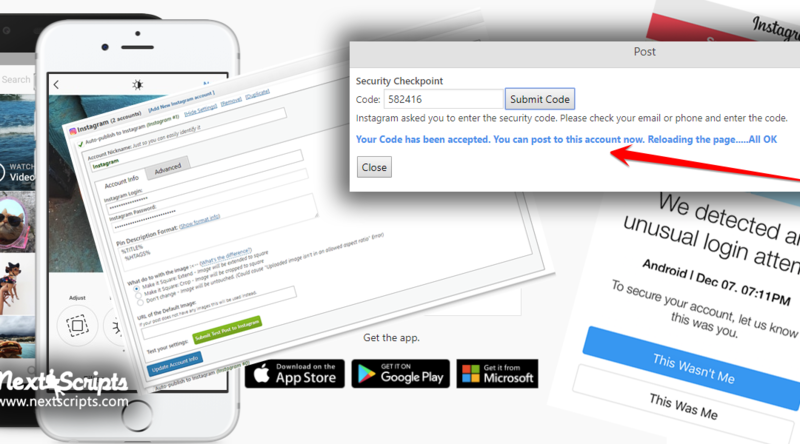 Please open instagram app on your phone, login with the same account and confirm your new login by either resetting your password, solving captcha or just clicking “Confirm”. It will work fine after that. “Sorry, there was a problem with your request." Also Instagram can throw this error if your image size/dimensions/ratio is not acceptable. This is especially the case if you chose not to crop your images by the plugin. 2. You have HTML in the message format. Please post only plain text. HTML can come from tags like %RAWTEXT% or %FULLTEXT%. 3. Sometimes this helps. Open Instagram app on your phone, logout and log back in. My Instagram posts are disappearing in couple minutes after I post them. Sorry to say, but you hit the Instagram’s SPAM filter. Please see the part of instructions the we really recommend to read before posting. Instagram will unmark your account as “Spammer” after some time, meanwhile please try to make several posts from your phone without any links or hashtags. This behavior usually means your account is under some suspicion. Someone either reported your posts as spam or your hosting provider IP range was previously used to abuse Instagram. Please stop autoposter for couple days and post several images form your phone without any tags. This usually resolves the issue. After that please try to make posts that people won’t report as spam. I am trying to post to the company page at LinkedIn. However, I can’t get past the final setup step, which is to post a test post from the plugin. A dialog box appears in which I’m supposed to enter two words from the reCAPTCHA image, but the image isn’t show – my browser just shows an X instead of an image. Broken reCAPTCHA image is a sign of broken/misconfigured CurlSSL. Please check and make sure your curl can open https websites. Please go to the Help/Support tab and click “Check SSL” to see the https problems. Most probably someone who uses the same hosting company was abusing LinkedIn. As the result, LinkedIn blacklisted your hosting company’s whole IP range. Please just follow instructions from the message and it will work. There are only two ways to solve this. 1. Please find a working proxy server and test it in your browser. Login to LinkedIn from your browser configured with proxy and make sure you get to your account. Please solve all captchas and/or enter all codes from SMS and/or email. Enter the same proxy to the plugin. Submit the test post and plugin will get all necessary saved login info. Remove the proxy and send another test. Plugin will login to LinkedIn with saved info and LinkedIn will mark your server IP as “Safe to login to that account”. It will work fine after that. You can find option “Proxy Settings” in the “Advanced” tab. Please use format “IP:Port” and “Username:Password”. 2. You can use the hosting company who’s clients haven’t tried to abuse LinkedIn previously and who’s IPs are not banned there. 502 Oops! | Our server is experiencing a mild case of the hiccups. | We’ve reported it to the team. | Try again?. Sorry! Something went wrong on our end. Please try again. 1. Pinterest uses this error when its servers are overloaded or down. 2. Pinterest uses this error when it doesn’t like the content that you are trying to submit. Please check that your image URL and link URL are correct and valid. Please make sure that your image does not contain adult, abusive or any other disallowed on Pinterest.com content. Please make sure that your image description does not contain adult, abusive or any other disallowed on Pinterest.com content and your description does not appear as spam. Pinterest Error: This pin contains a link or text that we do not allow. We have blocked this pin for your safety. Basically this means that Pinterest does not like links in your posts or links to your posts. In most cases Pinterest just does not allow posts with links to your website/domain/server/IP/etc.. In some cases Pinterest rejects the content of your posts. For example links to any site hosted with 000webhost.com free hosting provider are permanently banned on Pinterest, Facebook and Twitter. Too many people tried to setup the sites there for the purpose of spam. Also Pinterest does not allow any kind of URL shorteners, so please make sure you don’t use %SURL% or another kind of shortened URLs in your post. Please contact Pinterest directly if you have questions or concerns about that issue. Pinterest is slow. It’s slow in general. It takes quite some time for it to return the requested info. Most probably your server has a very short timeout that is not enough for Pinterest. Our script is trying to increase timeout setting for all calls to Pinterest. Most probably your server is set to ignore such things. Please increase timeout. Pinterest error: Parameter 'source_url' ... is not a valid URL format. This message means that Pinterest can’t get your image. Pinterest is an image sharing network. You must supply a valid image URL along with your post. You can’t post there without an image. Please make sure it’s available at the time of post. Please turn off any kind of “hotlinking protection”. You can also try to set a delay in case your image is not ready yet at the moment post goes published. Pinterest has your Hosting IP in the list of potentially suspicious networks and blocked it. This means your hosting provider was recently used to abuse Pinterest. – You use some “cloud cdn” providers like CloudFlare or Incapsula. – You are on shared hosting and one of your neighbours was/is abusing Pinterest. – You are hosted on some “activity friendly” providers like Amazon AWS, LeaseWeb, OVH, RedStation, ServerCentral, SoftLayer, etc. 1. Try to contact Pinterest and ask them to unblock your IP. 2. Fill your issue info with your website IP and say “I am not running any bots, please allow me to use my account”. I click “retrieve your subreddits” link I am not getting any subreddit ids returned. Do you actually have any subreddits that you own? Not the subreddits you subscribed to, but subreddits you have created or at least have rights to moderate? Reddit allows you to post ONLY to the subreddits made or moderated by you. All posts to other subreddits are considered “SPAM” and will lead to the suspension of your reddit account. Reddit has some pre-qualifications (like certain amount of karma) before you can freely post and you need to meet those pre-qualifications. Yes, you need it even for your own subreddit . This is Reddit’s policy, nothing can be done about that. https://www.scoop.it/u/username is your user(profile) URL. Scoop.It does not allow any postings to be made to user URLs, you can only post to “Topics”. Please check your account, you have topics (like https://www.scoop.it/t/topic-name), so you need to enter topic-name to this field. Why am I getting duplicate images on Tumblr posts? The same image is repeated three times in all my Tumblr posts. How to fix this? Please check what do you have in the “Post Text Format” field in plugin’s Tumblr settings. Your first image could come from “Image Post”, second image could come from %IMG% tag and your third image could come from %FULLTEXT% tag. Answer: You just need to follow the instructions step by step. Please don’t skip anything. 4. Click “Permissions” tab. Change Access level from “Read Only” to “Read and Write“. Click “Update Settings”. 5. Click “Keys and Access Tokens” tab. Scroll to the “Your access token” and click “Create my access token” button. Refresh page and notice “Access token” and “Access token secret”. Make sure you have “Read and Write” access level. Basically this means that Twitter does not like links in your posts. In most cases Twitter just does not allow posts with links to your website/domain/server/IP/etc.. In some cases Twitter rejects the content of your posts. For example links to any site hosted with 000webhost.com free hosting provider are permanently banned on Facebook and Twitter. Too many people tried to setup the sites there for the purpose of spam. Please contact Twitter directly if you have questions or concerns about that issue. This message is coming from the new Twitter’s spam protection mechanism. It’s analyzed your message and marked it as spam. As you can expect they don’t share any information about how this thing works. Try to change the format of your messages and use/don’t use/change URL shortener. There are also some reports that Twitter rejects posts coming from hosting providers that were used to abuse it. Please note: Despite the fact that error is saying “might be automated”, it doesn’t mean that Twitter rejects the post because it was made though the API. “Automated” there doesn’t mean “posted/submitted automatically”, it means “written/generated automatically”. Please make sure that all your info such as URL, keys and secrets are in the right places and belong to the same account. This could be the only reason for this error. Why there is no character counter for Twitter? Please add it, it should be easy. It’s not that simple. Actually such counter is impossible to implement. Some of the tags could be processed only after you publish the post which makes it impossible to count characters at the time of writing. 1. The most common reason for the “Wrong Key” error is the outdated SNAP Helper plugin. Please make sure your SNAP Helper plugin is 1.5.5 or later. 1.4.X versions are no longer compatible with latest SNAP releases. 2. It also could be amount of memory allowed for PHP on your server. Please check and make sure it’s not 32M or less. You need at least 64M, but if you have other plugins 128M or even 256M is recommended. 3. Another possible problem is broken curl/sslcurl, please do [Test Connections and HTTPS/SSL] from Help/Support tab in the plugin and look for any possible connection errors.